HiViz LED Lighting and its partner companies manufacture close to 600 unique lighting fixtures. For the Ambulance light market, we’ve slimmed the range and focused on just Four key parts sure to keep your crew illuminated on even the darkest night. Additional configurations may be available from HiViz, but these parts are specifically optimized for use on your EMS fleet! 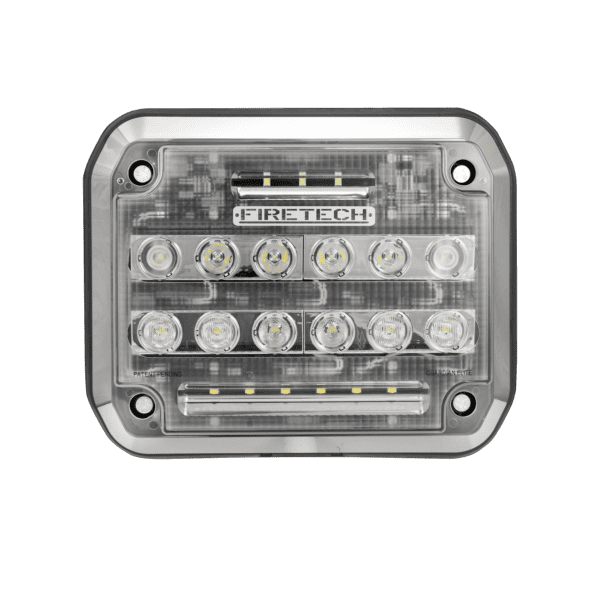 The Guardian LED scene light uses a 7.25″ x 5.25″ mounting hole layout which matches the most common 7×9 “900 series” fixtures in the industry. With a standard and a high output model available, your crew will have a serious edge up after dark. HiViz LED Lighting’s FIRETECH brand was made famous by the 72″ Flagship FIRETECH Brow light. This same technology is available for EMS units with a simplified electrical layout and variety of mounting options. Stop putting fixtures designed for poles on the front of your rights…this range was specifically designed to shine on scenes in front of the rig! Surprisingly, compartment lighting is an area often frustrating to many fleet managers. Many times the cheapest light available is installed, only to give problems for the life of the vehicle. 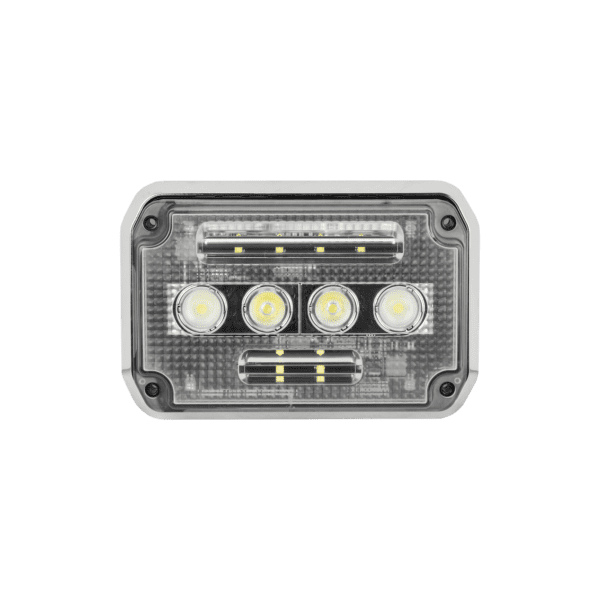 The FireTech HD Strip light is the only compartment light in the industry to bond the chips and circuit board directly to the housing, THEN pot it. That potting makes it totally waterproof, and the mechanical attachment to the housing allows proper thermal management and superior service life. Salt? Road Spray? Rocks? No problem. The FireTech FT-AQX was originally designed as an indestructible marine-market under water transom light. With some minor tweaks to the optics, this fixture has been tooled to be the ultimate undercarriage light. Never want to have to mess with another ground light again? The FT-AQX is the solution. Firetech Ambulance Products meet NFPA 1917 Compliance Regulations.